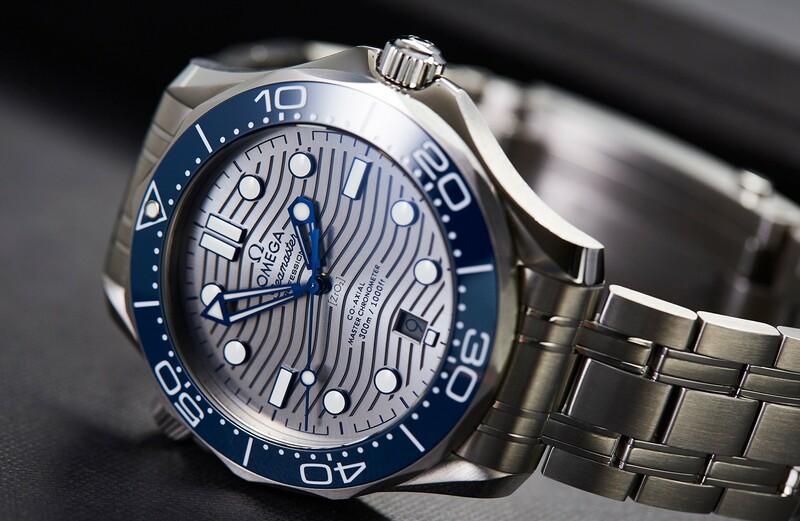 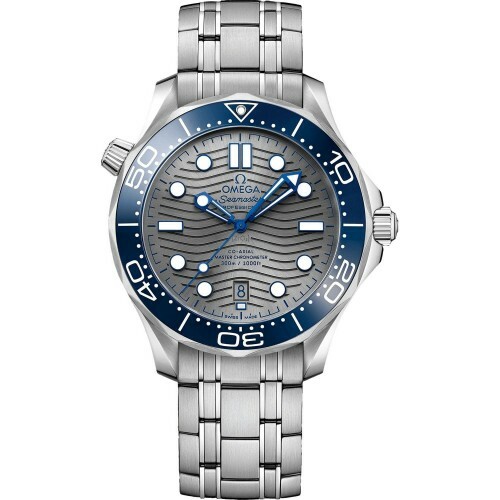 The Seamaster Diver Co-Axial is equipped with a helium escape valve and a unidirectional rotating bezel. 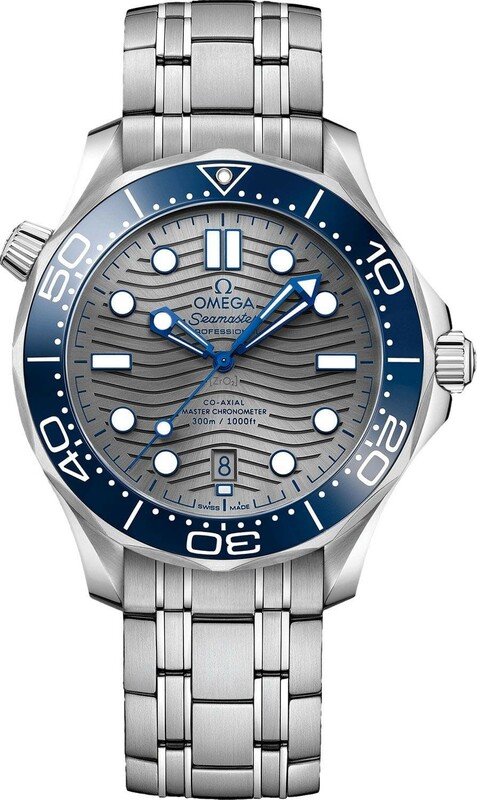 The polished, facetted skeleton rhodium-plated hour and minute hands as well as the central seconds hand are coated with a luminescent material called Super-LumiNova that emits a soft blue light. 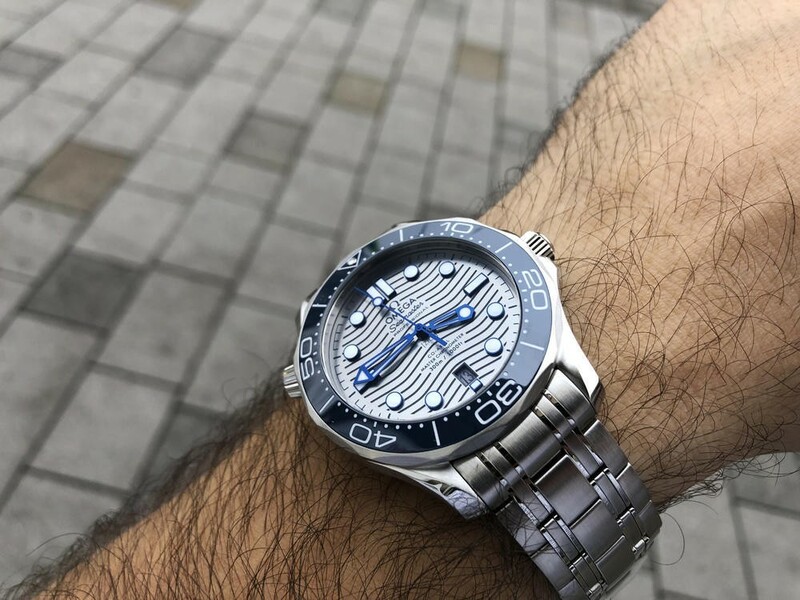 The indexes are also coated with Super-LumiNova so it is easy to keep track of the elapsed time in limited light situations.